The film is directed by Doug Ellin and is starring Kevin Connolly, Adrian Grenier, Kevin Dillon, Jerry Ferrara, and Jeremy Piven. I’ve never watched the TV series, and I can’t say am excited about the film… What about you? 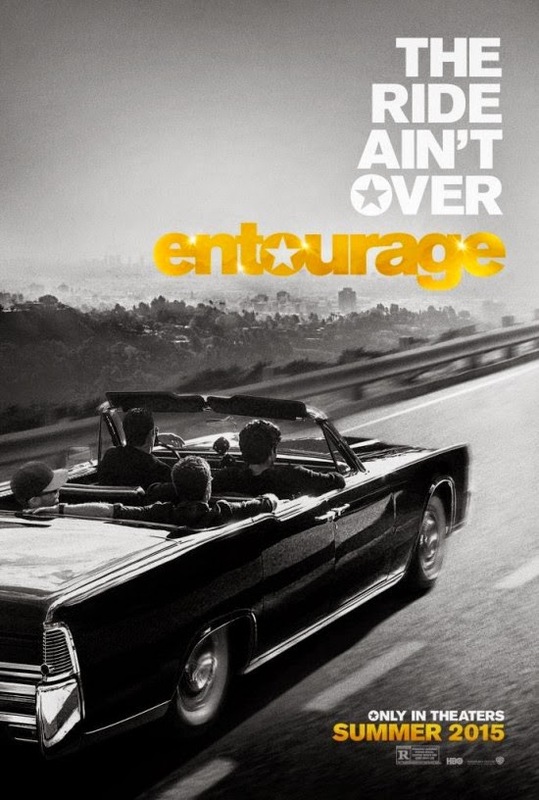 The release date of Entourage the movie is set to June 5, 2015. OK, so I’m bracing myself to be disappointed because this should have come out at least 4 years ago, and I’m worried it’s going to be like when Arrested Development came back and they had taken too long of a break and the show was missing some of the magic from before. However, I am also really excited that they added Billy Bob Thornton – he’s always great. This trailer is a little too bare bones to make judgements from, but at least the guys don’t look like they’ve aged too much to pull off their characters. Also really liked the song in the second part of the trailer, “Trouble” by Ethel and The Chordtones, that was a great choice.